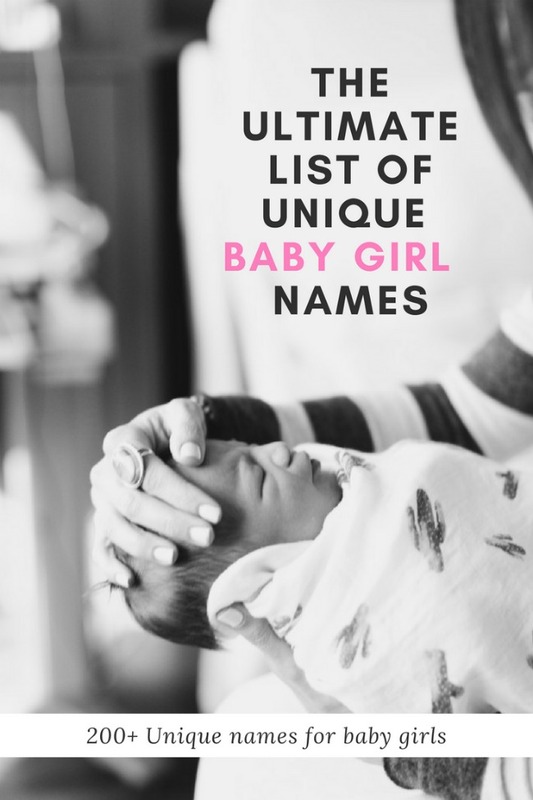 Over the years we've had to come up with a few name lists, and while we've always had boys to name, we certainly expected to name a girl at some point. That point hasn't arrived, but you all loved our Ultimate List of Baby Boy Names post so much that I knew I needed to share one for girls. Soren and I have somewhat unique names and so we've always wanted our kids' names to fit. We've looked at all of the unique boy names and ended up with an Easton, Kesler, Knox, Baker and Rush. I had some great input from readers for unique girl name suggestions and I wanted to share them with you. It turns out unique girl names are much easier to find, so narrowing down the over 1,000 names you all submitted was no easy task! Hopefully this list makes your task of forming your own list a little easier. Great list! I have to girls Emersyn and Ainsley. My daughter's name is Windsor. I just love it! I think my name is pretty unique (Janine) and my middle name is (Ainsley), even my last name (Reid) has become a unique baby boy name recently😅 my sister’s name is Kayleigh, which has become much more popular over the years. Love these names!! I have a “Reece” who is Rush’s age but I love “Parker” for a girl if I have another one!